Call for the UK to join the growing number of states supporting a ban on killer robots. Next week, the UK will join more than 70 countries at the sixth international meeting of the group of governmental experts (GGE) in Geneva on the issue of Lethal Autonomous Weapons (LAWS), or as they have come to be known, ‘killer robots’. 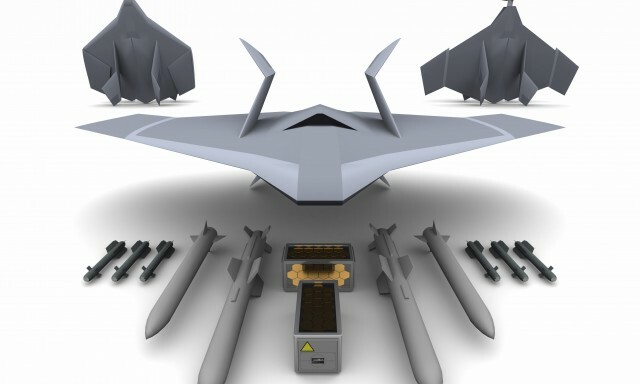 The United Nations Association-UK (UNA-UK) has repeatedly called on the UK government to play a constructive role in these meetings, and to support negotiations for a new framework to prohibit the development of killer robots. The meeting of the group of governmental experts (GGE), part of the Convention on Certain Conventional Weapons (CCW) running from 27-31 August, follows a meeting earlier this year concerned with defining “characteristics” or “common understandings” of Lethal Autonomous Weapons, as well as the touchpoints of human-machine interaction. The Convention on Certain Conventional Weapons works on the basis of consensus and any regulations or proposals that emerge will need to command widespread support. A vast majority of the 82 countries present in April were in favour of beginning work in 2019 on a legally-binding instrument to regulate Lethal Autonomous Weapons, but momentum for a new framework faces tough opposition from states with advanced military hardware, including France, Israel, Russia, the UK and the USA. These states have expressed the belief that current international law is sufficient. But the UK government is sending mixed messages. The UK government’s working paper for the group of governmental experts reiterated Britain’s position that existing international law is sufficient regarding the ‘design, delivery, operation, regulation and disposal of weapons systems’, but indicated a welcome degree of willingness to engage regarding the delivery and assurance of human control. Nevertheless, UNA-UK is still disappointed by what it sees as the government’s unwillingness to cooperate productively with international partners on a treaty. A more in-depth analysis of the UK’s position regarding Lethal Autonomous Weapons can be found in UNA-UK’s most recent report: Killer Robots: Who is making the decision? UNA-UK has now launched a killer robots brief. UNA-UK considers the prospect of killer robots through an analysis of current debates – and opportunities for the UK to play a constructive role. UNA-UK is now calling on the UK to do just that at next week’s meeting and to support the growing calls to start negotiating a new framework to prohibit the development of killer robots. The inconsistencies in the government’s position seem to have lead to an unwillingness to cooperate productively with international partners on killer robots. This could significantly undermine the Prime Minister’s stated ambition for a Global Britain which is a world leader in ethical AI, as she declared in her January 2018 Davos address. UNA-UK is now asking all its members, supporters and local UNAs to contact their MPs to urge them to call on the government to cooperate with the international community and join the growing number of states supporting a ban on killer robots. To read the Future of Life pledge and find the full list of signatories here.